Congress announces they have reached an agreement they believe President Trump will sign. Congressional negotiators revealed Monday evening that they've reached "an agreement in principle" on border security funding and other issues that could avert a second partial government shutdown this year. When asked if they had an agreement that President Trump would approve, Sen. Richard Shelby, R-Ala., the chairman of the Senate Appropriations Committee, told reporters: "We think so. We hope so." Rep. Nita Lowey, D-N.Y., the chair of the House Appropriations Committee, declined to give details of the deal but said a final text could be released by Wednesday. Lawmakers have until 11:59 p.m. Friday to get the agreement through both houses of Congress and signed by Trump before several Cabinet-level departments shut down and hundreds of thousands of federal workers are furloughed. However, Democrats have agreed to at least some money for border structures and have focused on reducing funding for detention beds to curb what they see as unnecessarily harsh enforcement by Immigration and Customs Enforcement (ICE). The detention beds issue threatened to scupper talks over the weekend, but both parties apparently worked past that issue. A House Democratic aide told The Associated Press Republicans had already agreed to funding cuts that would require ICE to ramp down the number of detention beds to a range of 34,000-38,500 by the end of the year. ICE currently detains about 49,000 immigrants on average per day. 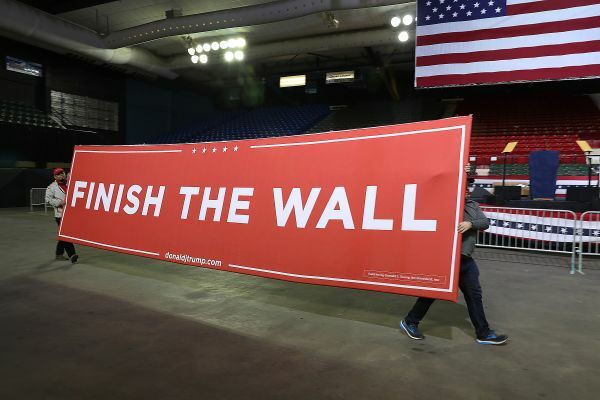 But a proposal to cap at 16,500 the number of detainees caught in areas away from the border — a limit Democrats say is aimed at preventing overreach by the agency — ran into its own Republican wall. Shelby told reporters Monday night that the bed issue had been worked out, but declined to give details. "We think it's going to work," he said. "We had some hard negotiations." ICE is being asked to ignore the laws that Congress has already passed," said agency Deputy Director Matt Albence on a media call organized by the White House. "It will be extremely damaging to the public safety of this country. If we are forced to live within a cap based on interior arrests, we will immediately be forced to release criminal aliens that are currently sitting in our custody." According to ICE figures, 66 percent of the nearly 159,000 immigrants it reported detaining last year were previously convicted of crimes. In 2016 under President Barack Obama, around 110,000 immigrants were detained and 86 percent had criminal records. At the White House Monday afternoon, Trump softened his rhetoric on the wall but ratcheted it up when alluding to the detention beds issue. "We can call it anything. We'll call it barriers, we'll call it whatever they want," the president said. "But now it turns out not only don't they want to give us money for a wall, they don't want to give us the space to detain murderers, criminals, drug dealers, human smugglers. Sounds like we're going to be seeing much more catch & release, not less. This is not acceptable by any measure! The deal provides funds for an average detention population of 45,274 (including 2,500 family beds). It also has another $750 million (available transfer/reprogramming authority) that can be used for additional beds. That will pay for another 13,000 beds and give ICE flexibility to bring the total amount of beds to nearly 58,500. Remember: 58,500 is an increase of 18 percent over the current detention population of 49,057. It is also 6,500 more beds than were requested in the President’s budget request and 9,000 more than the current detention populations. In short, there is more than enough flexibility for ICE to respond to any forthcoming surges in illegal immigrations and apprehensions. All of that funding can be used for new miles of border wall. This will fund approximately 55 new miles — double the amount of new miles provided in FY18 and nearly three times as much as would have been available under a continuing resolution. All of the miles will be in the Rio Grande Valley sector – Border Patrol’s highest priorities on its strategic plan. No discussion or explanation on this. What this means is there will be less enforcement in our interior and fewer detention beds for those caught in our interior. This is more inline with Obama's policies and it's what the Democrats want ..... fewer deportation of those that have been living in our interior for years. Yes, this probably means illegals caught without a criminal record outside of illegal entry will not be apprehended or held for deportation! More catch & release or in some cases, just more illegals ignored by federal law enforcement. WE WANT 100% OF THEM AND THEIR UAC'S DEPORTED! 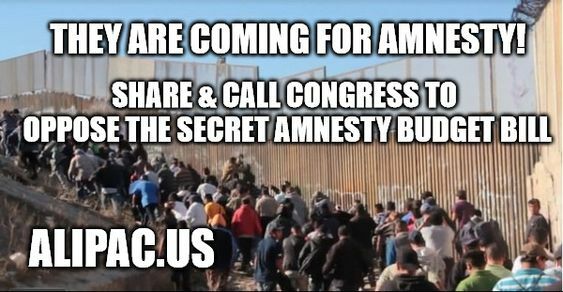 THEY HAVE NO RIGHT TO COME HERE AND WE WANT THIS SHUT DOWN! MW and GeorgiaPeach like this.